By now, many of you have heard about the dust-up at W. Blake Gray’s The Gray Market Report. (Full disclosure- Blake is a member of the Palate Press Editorial Board.) If you haven’t, you can read about it HERE. I will not comment any further on that specific matter. However, as the resident attorney at (as well as Publisher of) Palate Press: The online wine magazine, this strikes me as an opportune moment to renew the discussion previously presented at the 2009 Wine Bloggers Conference, Legal Issues for Wine Bloggers. In this edition, I will address the First Amendment, subpoenas, and defamation. If it appears this is of interest to people, perhaps we will write more about copyright, trademark, and more. Are bloggers members of the press, so that the First Amendment applies to them? As a blogger, I would like to simply say “yes.” As an attorney, I cannot answer a simple question with a simple answer, for it is not really that simple. Sorry. The public and whatever press have any interest, including newspapers, freelance writers, bloggers and anyone else, ought generally to be able to see what is going on in courtrooms, including sentencing hearings. …news about his new Wal-Qaeda designs was reported in the press and on blogs, and almost all of the sales of Smith’s Wal-Qaeda items occurred within a month of the first publicity that followed upon the press and bloggers discovering those designs. Plaintiff also created press releases for public access. Hofmann Decl. Exhs. A & B. At least three media outlets reported on the documents, including a blog that members of the public used for discussion. Clearly, blogs can be considered press for the purposes of the First Amendment, but only if they are functioning as press. In all the cases cited above, the blogs being discussed were, in some way, reporting or discussing news. One can editorialize and still be considered “press.” Almost every newspaper in the country has an editorial page. However, a blog that is truly nothing more than a personal diary for all to see is likely to not get the benefit of the First Amendment as a member of the press. What is defamation? In general, it is a false statement, either published (libel) or spoken (slander), that injures another’s reputation or good name. There are two “levels,” for lack of a better phrase, of defamation, defamation per se and defamation per quod. Defamation per se is something so egregious that the words themselves are assumed to have caused injury, and the Plaintiff need not show any injury. The classic examples include calling somebody a criminal or maligning a lady’s sexual morality. Defamation per quod is a statement that, on its face, is not presumed to be injurious. A Plaintiff alleging defamation per quod must also show injury. Why do I say “in general?” Because every state has its own defamation laws. They all follow the basic construction described above, but how they are applied varies from state to state. Okay, now that we have a general understanding of what defamation is, how does it apply to wine bloggers? Excellent question. The most obvious way it can apply to defamation, or to its cousin, commercial disparagement (think defemation of a business, rather than an individual, and we’re close enough to talk about it), is in wine reviews. Look at these two different reviews. Are either of them defamatory? One winemaking technique is to add flavoring to wine. As an experienced winemaker and wine taster, I can say without a doubt that _________ wine has added oak extract for artificial oak flavor, as well as Mega Purple for color. The first makes a statement that can be shown to be either true or false. The second is an opinion. This tastes like the winemaker added oak extract for artificial oak flavor, and Mega Purple for color. Harder, isn’t it? On the one hand, “this tastes like” sounds like an opinion. On the other, the initials say “expert” to readers, and also say that this is more than mere opinion, but perhaps also a statement of fact teased out by the expert palate. There is one other interesting quirk to consider in defamation actions. Who you are makes a difference in how you can be defamed. If you are a private person, the simple rules described above apply. But if you are a “public figure,” either a public official or somebody who is otherwise in the public eye, different rules apply. When the alleged victim of a defamatory statement is a public figure, they usually have to also demonstrate that the person making the statement knew it was false. That may not sound like a big deal, but it can be. Take the last example, above. Would it make a difference if the winemaker was some John Doe you never heard of, or if a well-known wine personna made it? Indeed, it might. What can you, the wine blogger, take from this discussion? The closer you get to a specific statement, and the more you present yourself as an expert, the greater caution you must exercise in your writing. This should not discourage anybody from writing about wine. Just remember, the ease of blogging, and sometimes the anonymity of blogging, does not make you immune from the common rules of society we have all followed for centuries. Some people blog anonymously. They might do it because their blog might create problems with an employer, or because they don’t want the public personna to be part of their private life. Anonymous commentary is a tradition older than the United States. The Federalist Papers were published anonymously. Thomas Paine first published Common Sense anonymously. Anonymous bloggers are in good company. Courts have even gone so far as to recognize the internet as a “particularly effective forum for anonymous speech.” Sony Music Entertainment, Inc. v. Does. They also enjoy the same protections, and limitations, of anonymous pahmpleteers and campaigners. The Supreme Court of the United States has stated that “an author’s decision to remain anonymous … is an aspect of the freedom of speech protected by the First Amendment.” McIntyre v. Ohio Elections Commission. This is because “the interest in having anonymous works enter the marketplace of ideas unquestionably outweighs any public interest in requiring disclosure as a condition of entry.” The Supreme Court has also held that there is “no basis for qualifying the level of First Amendment scrutiny that should be applied to … [the Internet] medium.” Reno v. ACLU. Based upon those Supreme Court rulings, other courts have said things like, “[i]t is clear that speech over the internet is entitled to First Amendment protection” and that “[t]his protection extends to anonymous internet speech.” Doe v. Cahill. Anonymous speech, whether on the internet or elsewhere, does not have absolute protection. Where an anonymous speaker crosses the line from protected speech, such as in copyright infringement, trade secrets infringement, or defamation, a plaintiff can seek to identify them. Note, please, the use of the word “seek,” for it is important. The plaintiff is going to have to do more than just make the accusation, for courts are sensitive to the use of legal process as a form of coercion or intimidation. A plaintiff alleging a claim that allows them to pierce a writer’s anonymity will have to meet certain conditions before they can succeed. Even bloggers who blog under their own names might sometimes have to deal with anonymous comments. The first question a blogger needs to deal with is whether she should permit comments, and if she does, how they should be moderated. This is a potential trap. It sounds a bit odd, but the more you moderate, the greater the potential liability. What does this mean for a blogger accepting comments on their website? As you can see, the law is still evolving, but based upon the statute and the cases, the important thing is to be sure that moderation is to keep out spam and bad language, and to edit for length, but not to take any actions that can be interpreted as approving a comment. That means not just publishing the comments you like, for doing so can make you the “internet content provider” of the comment. In the same vein, avoid editing for anything other than length, for if you edit for content, you risk becoming the “internet content provider” as well. Anonymous comments enjoy the same First Amendment protections as anonymous blog posts. The blogger can be put in the unusual position of an intermediary. Plaintiffs claiming they were defamed, or attempting to protect copyrights or trade secrets, have to go through the blogger or the website host to get to the commenter. That means a blogger can be part of a lawsuit, even if not a party to the lawsuit. What is a blogger to do when faced with a demand to identify who published a comment, or even with a subpoena? One choice is to give the information, let the commenter take care of himself. Another choice, though, is for the blogger to protect the commenter. Even though not a party, courts have ruled a blogger or website host has the right to protect the anonymity of commenters, even though they are not a party to the lawsuit. There are two different reasons. The first is that the commenter would not be on notice of the suit and would not have the ability to protect themselves. The second is that the publication itself has an interest in being able to protect anonymity, in the interest of the publication and future comments. Therefore, a blogger has the right to file a motion to quash a subpoena or to refuse to provide identifying information. Everything above describes what the law is for bloggers, and what arguments might apply to certain issues if they find themselves in a court of law. The best advice, though, is to avoid a court of law. A blogger will have to pay somebody to make those arguments, somebody who charges by the hour. Hopefully, being fully informed about the laws related to blogging will help people avoid the pitfalls that can land them in court. David Honig will discuss this topic live and take questions in The Palate Press Forum on Tuesday evening, October 5th, from 9-10 pm Eastern. U.S. v. Biagon, 122 F.3d 837 (9th Cir.1997). U.S. v. Agriprocessors, Inc., 2009 WL 2255728, N.D.Iowa, July 27, 2009. Sony Music Entertainment, Inc. v. Does 1-40, 326 F.Supp.2d 556 (S.D.N.Y.2004). McIntyre v. Ohio Elections Commission, 514 U.S. 334, 342, 115 S.Ct. 151, 131 L.Ed.2d 426 (1995). Reno v. ACLU, 521 U.S. 844. 870, 117 S.Ct. 2329, 138 L.Ed.2d 874 (1997). Doe v. Cahill, 884 A.2d 451, 456 (Del. 2005). Telecommunications Act of 1996, 47 U.S.C. 230(f)(3). Telecommunications Act of 1996, 47 U.S.C. 230(c)(1). Batzel v. Smith, 333 F.3d 1018, 1041, C.A.9 (Cal.),2003. Zeran v. America Online, Inc., 129 F.3d 327, C.A.4 (Va.),1997. 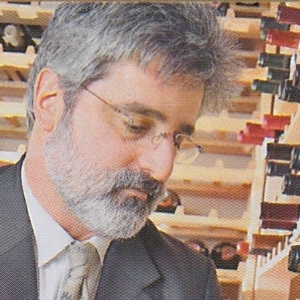 David Honig, the Publisher of PALATE PRESS: The Online Wine Magazine, is a shareholder with the lawfirm Hall, Render, Killian, Heath & Lyman, in Indianapolis. He is licensed to practice in Florida, Illinois, and Indiana, as well as before several federal court districts, courts of appeal, and the United State Supreme Court. Mr. Honig is a litigator and has appeared in trial courts, and before courts of appeal, in many states including Florida, Indiana, Illinois, Michigan, Alabama, New Hampshire, New York, and Georgia. Thank you so much for this explaination. I have been following this suit with great interest for the exact reasons detailed here. One question though, about the last couple of sentances “The second is that the publication itself has an interest in being able to protect anonymity, in the interest of the publication and future comments. Therefore, a blogger has the right to file a motion to quash a subpoena or to refuse to provide identifying information. Is this like “protecting your sources” as a journalist? Or is there some other statute at work here? Secondly does the blogger who has the right to file that “motion to quash” get tangled up with tons of legal fees to even get that motion filed? It seems like this is a rather large burden placed on a blogger, or is that just the risk we run, having a blog? Thanks again David this is interesting and somewhat scary. I know cases like these, early in the game (bloggers as press, etc.) can have long lasting ramifications. The blogger has the legal right, but not the legal duty, to move to quash. It becomes a personal and business decision. Personal, in that a blogger might be offended and wish to take up the cause. Business, in that the blogger might have the legitimte concern that if she does not step in, people will stop commenting and her blog will lose readership. Business, also, in weighing the costs of a legal action against doing nothing. I hope that answered your question. If it did not, I would be happy to go into more detail, if you just let me know what I missed. Thanks again for taking the time to answer my questions. The only other question I have for you is one of your opinion on what you think the outcome of this case will have as a precedence for other future cases. Do you think it will weigh heavy on future “online free speech” issues or is this just dust in the wind? I think it unwise for me to comment on one particular case. I am not attempting here to give specific legal advice, but rather to equip bloggers with some information, tools to allow them to function. I don’t think this particular case, however it turns out, will weigh heavily. There have actually been quite a few cases in the online world, and caselaw is already developing as described. It just might be one of the first times it landed in the wine blogging world, so people around here are paying attention. Have you considered the applicability of the case law concerning defamation & restaurant reviews, to bloggers’ wine reviews? For example, I think one of the important cases in that area is Mr. Chow of New York v. Ste. Jour Azur S.A., 759 F.2d 219, 227 (2d Cir. 1985). The case law provides restaurant reviewers strong protections against defamation, and I would think the same analysis could apply to wine reviews as well. Restaurant reviews are also the well recognized home of opinion and comment. Indeed, “[b]y its very nature, an article commenting upon the quality of a restaurant or its food, like a review of a play or movie, constitutes the opinion of the reviewer.” Greer v. Columbus Monthly Publishing Corp., 4 Ohio App.3d 235, 238, 448 N.E.2d 157, 161 (1982). The natural function of the review is to convey the critic’s opinion of the restaurant reviewed: the food, the service, the decor, the atmosphere, and so forth. Such matters are to a large extent controlled by personal tastes. The average reader approaches a review with the knowledge 228*228 that it contains only one person’s views of the establishment. And importantly, “[a]s is essential in aesthetic criticism … the object of the judgment is available to the critic’s audience.” Myers, 380 Mass. at 341, 403 N.E.2d at 379. Appellee does not cite a single case that has found a restaurant review libelous. Appellants and amici, on the other hand, cite numerous decisions that have refused to do so. Although the rationale underlying each of these decisions is different, they all recognize to some extent that reviews, although they may be unkind, are not normally a breeding ground for successful libel actions. Great analysis and explanation, David. I’m passing this on to my journo friends. With my feet still fairly newly planted on internet soil, it’s encouraging and slightly daunting to read about litigation. I’m not sure which I parts of this series of events provides me with what response. Maybe it’s the anonymity that’s most discouraging. The idea of having to take responsibility for someone else’s words – posted anonymously – has me thinking about researching this from a Canadian legal perspective. Mind, it’s just in the thinking about stage. No need to be hasty. And now I’ve a couple of wine festival events to attend, which I’m paid to write about. Thanks for posting this piece; it’s giving me food for thought as I put fingers to keyboard. There are many various pastime suggestions and actions that you can appreciate either on your personal or as component of a group.